Traveling with your fur-kids can make the whole trip even more enjoyable. They love to see new sights and meet new people just as much as you do. New foods, however, can be hard on their little tummies so bringing their favorites along with you is your best bet for a successful trip. You can begin by carrying bottled water for your pets. Each area you visit will have different water quality and can be one of the first things to upset their stomachs. Having water of consistent quality will keep their stomachs settled. Some healthy, natural treats that you can bring along are brown rice (you can pack it in ice cube trays and freeze – they will love it on a hot day), Sweet red peppers, slices of cooked pumpkin or sweet potato (try making them on the grill and you’ll love them too), apples that have been cored and the seeds removed, carrots, cauliflower, and mild cheese chunks are a big hit, too. Bring enough of their regular pet food to feed them for the duration of your trip. You won’t have to switch their food or try to find their brand in an unfamiliar area. All of the treats can be packed in a nice little box especially for them. We’ve seen people use all types of containers, even plastic lidded tackle boxes which work well due to the multiple small sections to hold their treats. You can make your own dog treats by using some of the recipes at 12 Recipes for Homemade Dog Treats. There, you’ll find a broad variety of flavors your pets will enjoy; even the picky eaters of the bunch. 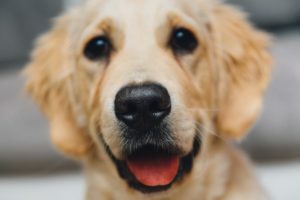 Hopefully, these ideas will give you all you need for keeping your pet happy, healthy, and having a memorable trip with the family.